Many of our power users have been asking for an easy way to collaborate and create videos on Typito for the past few months. Our reason to push back this feature so far were two: 1) not having enough reasons to prioritise a team based workflow on Typito and 2) cold feet! But last 2 months have been pretty instrumental for us. We started talking to a number of active users on Typito and we learnt how most of them would really save a lot of time and effort by having their team members on Typito and start collaborating to create videos for the business. And when you think about it, collaboration and video making makes a lot of sense! And that’s how we ventured into building an experience where users can create teams and collaborate to produce videos. And now our Teams feature is out in Beta! You can now invite your team members to a shared workspace where you can create, edit and publish videos for your business. First team created using Teams feature: TYPITO! Owner – Owner manages subscriptions and payments for the team. She can also add or remove other users from the team. Owner can also do all actions with video projects including creating, deleting, exporting and publishing or downloading the projects. Producer – Producer can invite other users to the team. He can also do all actions with video projects including creating, deleting, exporting and publishing or downloading the projects. Editor – Editor can do certain actions with video projects like creating, deleting, editing and exporting the projects. You can also create a new team on Typito by opting for the ‘Create Team‘ dropdown option near the current team name. This gives you the capability to manage multiple team accounts within the same login. 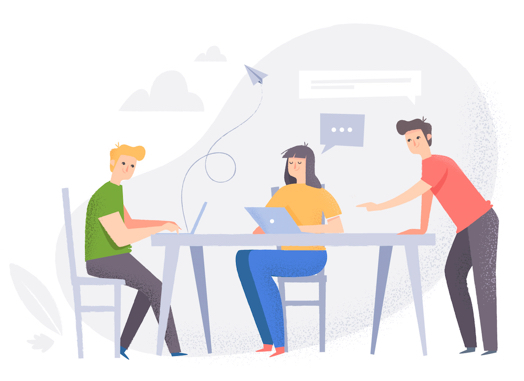 This works very well for agencies who want to create multiple isolated teams that are spread across and managed separately or even if you want to keep a separate personal account along with your business team account. You can change your team’s payment and other settings in the Teams & Billing section in Accounts view. This view also gives an understanding of the pricing plan the team is on right now and the Typito credits that’s present in the team’s account. That would be the main highlights of the Teams feature on Typito. The Teams feature currently lets you add member(s) to your team if you are on a subscription plan. The number of users per team information for each pricing plan can be found on the pricing page – https://typito.com/pricing. 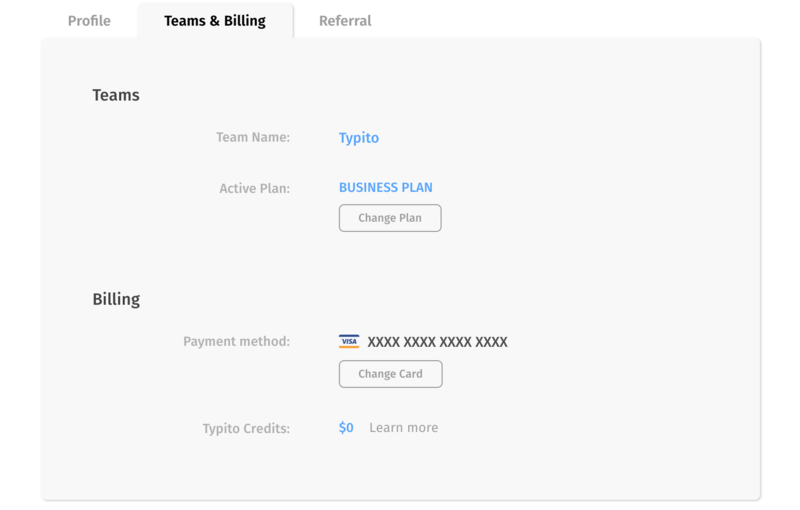 So do check it out and let us know what you think about the Beta version of Teams on Typito. Looking forward to your feedback!